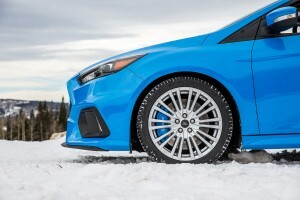 The first-ever factory winter tire package on the new Ford Focus RS. Buyers of the all-new, all-wheel-drive 350-horsepower Ford Focus RS will now be able to order a fully certified winter tire kit for great driving performance in the snow as Ford Motor Company rolls out the Focus RS Winter Wheel & Tire Package. The new package offers customers a unique set of wheels and tires – the first time an original equipment manufacturer is making a check-the-box winter tire option available in North America. 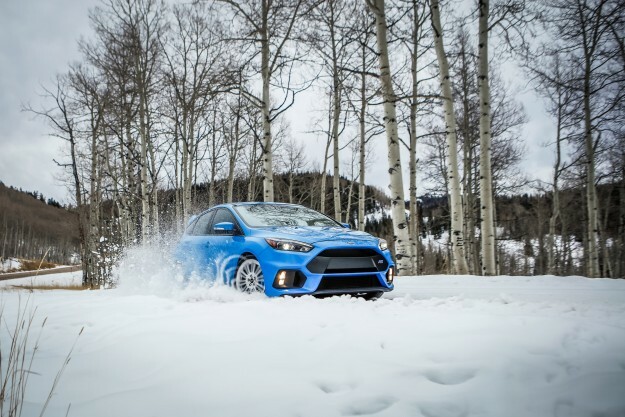 The Focus RS Winter Wheel & Tire Package.